Work for Asana for Gmail for G Suite? Learning about Asana for Gmail for G Suite? "A great step forward / one of most useful tools for gmail getting closer to you "
Good to know that Asana understands that their users use mails a lot and integration with Gmail makes it even easier to assign tasks. I believe, that this is a great way now, since I personally work a lot with gmail and now I can transform each email in a task and continue working on it in Asana. In the project I work on, a lot of communication happens through the email, so in the past I used to copy email manually to Asana. Now, I can just do everything in gmail and be more productive. It makes my daily workflow easier and it works really well for people who need to constantly use their emails and multitask. The layout is a little confusing to me at times and I wish it would integrate with other forms of workflow management. I like that I can manage my conversations and keep track of all my emails. I think there's a learning curve to understand Asana, but once you set it up it can be very handy. It's free so doesn't hurt to try! It does take some time to change your work flow but stick with it. Keeping track of all the projects I have with different teams. There are so many questions and it helps me remember where our conversation left off. "Asana for Gmail Makes Task Management Easy and Doable"
Ease of use for reading tasks and comments. Manually need to unfollow tasks you don't want notifications for. Asana for Gmail is a great tool that allows you to keep on track of the tasks and projects you're working on, while keeping it concise in your inbox. I would definitely recommend this tool. I work with an incredible team and wonderful clients. That being said, there are a lot of moving pieces and things to keep track of. Having Asana itself allows me to check each and every individual project as needed, but Asana for Gmail allows me to receive a summary of updates for the tasks and projects I'm following in my inbox. This allows me to see everything in one place, better utilizing my time without having to search for each and every project and task that has recently been worked on. I love the ability to have a professional presence at an affordable price. The ease of use makes it even better. I wouldn’t say I dislike anything. I’d love to be able to use on a platform like outlook. We are able to communicate professionally with our clients and appointed companies. "Awesome application to organize common tasks. " I can create my own computer without the need to use other desktop files. The saving of time to contribute to the efficiency of work in the office and the advanced system of adaptation. This tool is little used, has many usable things and have been wasted categorically. The lack of publicity to viralize the use of this platform is stagnant. Ideal to develop new strategies for handling equipment in stress situation. Great to establish work methods. Drafting and creation of work teams to organize daily tasks. Sometimes it may time out and you have to log back in. Communicating with upper management about restaurant level issues. I love the multi-usage of the platform; spreadsheets, calendar function, presentation-use. Some of the key issues; document sharing. Having remote offices in various locations; the convenience of being able to use the platform for employees to contribute their work is great. I enjoy the many functions of calendar usage, spreadsheets, report processing, presentation use as I use it often for conference calls, my team can follow along. "It helps manage and sync exp with calender but it is a one way sync"
"Great for simplifying my processes "
I already love and use Asana so I was excited to try the gmail integration. It’s honestly a huge time saver for me and mitigates having to go back and forth between applications. There’s nothing notable that I can think of! This alleviates having to jump to too many places at once. It keeps everything in the inbox for better productivitiy. I"m a regular G-suite user as well as Asana, I found the integration to be awesome and a huge time saver! "When it works, it's great!" Being able to share to-do lists across many people. Freezes sometimes and sometimes lacks real-life tracking. Cross-project productivity and also being able to print/save to-do lists. "Love being able to add tasks directly from Gmail"
* We monitor all Asana for Gmail for G Suite reviews to prevent fraudulent reviews and keep review quality high. We do not post reviews by company employees or direct competitors. Validated reviews require the user to submit a screenshot of the product containing their user ID, in order to verify a user is an actual user of the product. Hi there! 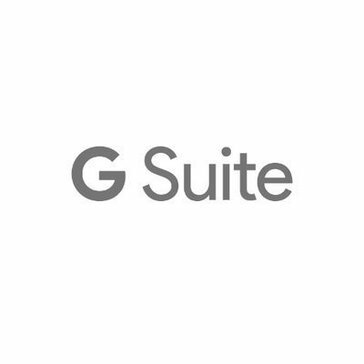 Are you looking to implement a solution like Asana for Gmail for G Suite?